Adam specialises in judicial review, human rights and civil claims against public authorities. He has acted at all levels including at the Supreme Court and Strasbourg. He acts for claimants, NGOs and other organisations. 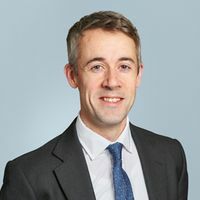 His practice includes cases involving inquests, prisons, police, surveillance, intercept evidence, closed proceedings, international law, terrorism, mental health, children’s rights, discrimination, immigration detention, and community care. Adam was awarded Chambers & Partners Human Rights & Public Law junior of the year 2014, and LAPG Young Legal Aid Barrister of the year in 2010. "A junior of choice in this field, he's an amazing human rights thinker who knows the law inside out." "He has an outstanding intellect and work ethic and is one of the best juniors around." "Hard-working and cerebral, he is in high demand because he's so good to work with." "A formidable barrister who has incredible intelligence and brilliant judgement." "He is coveted by solicitors, and he deserves it. He will always come up with creative and brilliant solutions to whatever problems you throw at him. He is the complete package." One rival barrister commented: "I would be proud to have him at my chambers, and I would be happy to have him as a junior on any case. He is just amazing."